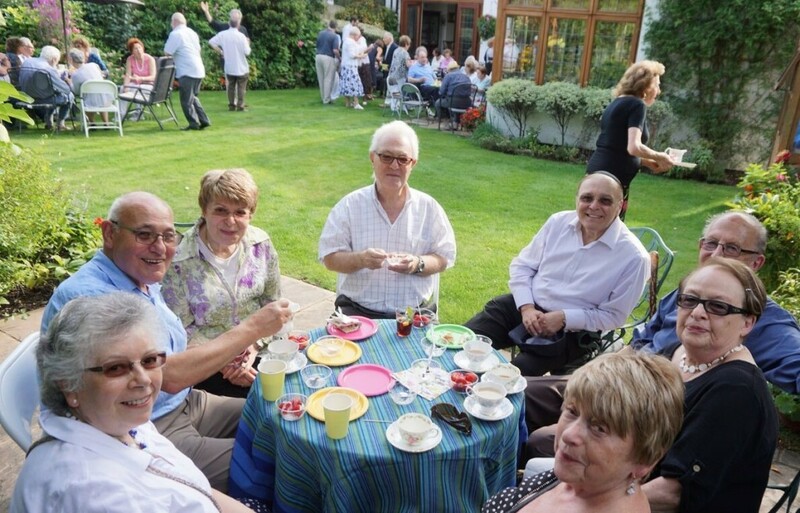 Hampstead Synagogue’s 125th anniversary celebrations continued with a summer tea held at the home of Madeleine and Richard Abramson. Sunny weather enabled sixty members of the community to enjoy the delicious afternoon tea which was served in the garden. Co-chair Adrienne Powell whilst welcoming everybody explained that the event was an opportunity to reminisce the history of Hampstead Synagogue and its community. She said that these special memories and photographs would be collected and form an important part of the Synagogue’s archive. We can use all sorts of skills! Just 30 minutes of your time can make all the difference to our community. Speak to Candice or a Board member now. Sun: Closed – To View the Shul for Weddings by appointment only.